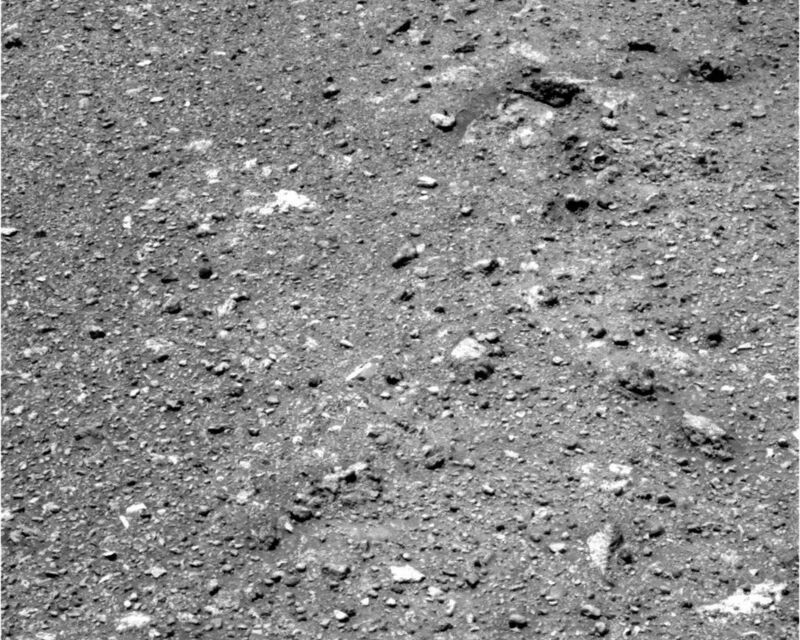 NASA's Mars Exploration Rover Opportunity looked down at the soil on the western rim of Endeavour crater to capture this raw image from its panoramic camera during the rover's 2,686th Martian day, or sol, of work on Mars (Aug. 14, 2011). 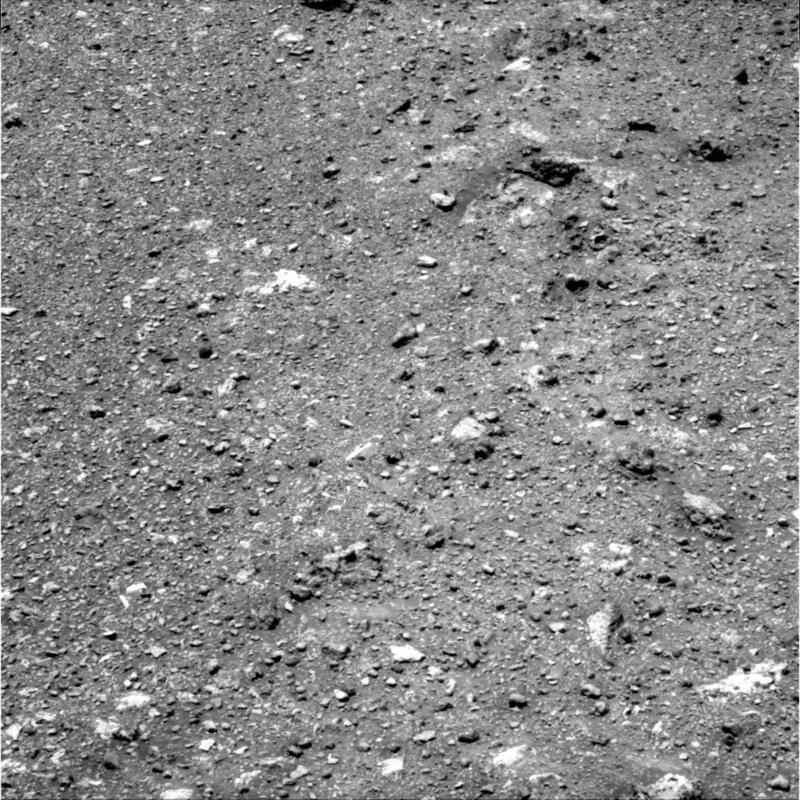 Opportunity had arrived at the western rim of 13-mile-diameter (21-kilometer-diameter) Endeavour crater five days earlier. 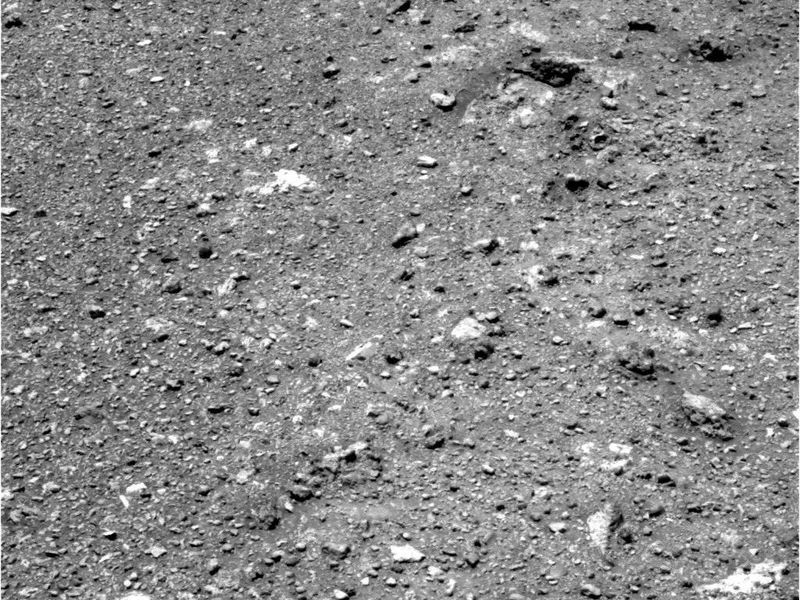 The soil at this location has a different texture than any that Opportunity had seen earlier. Among other differences, this site has none of the iron-rich concretions, nicknamed "blueberries," which have been plentiful on the surface at many locations Opportunity has stopped. 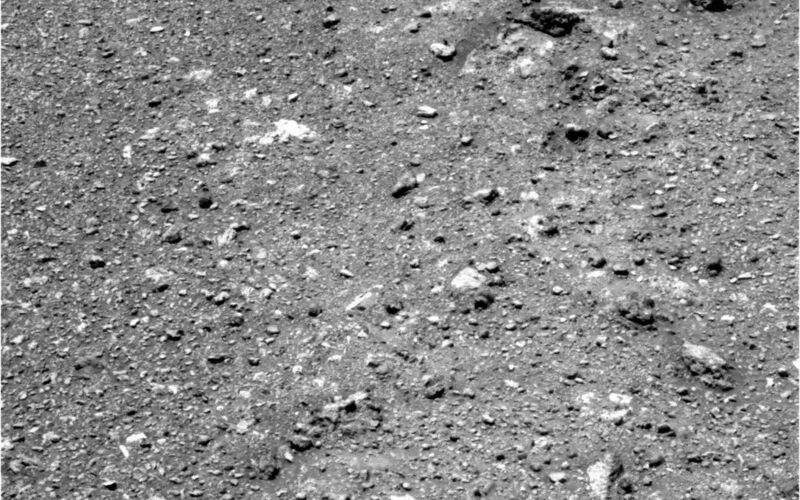 The largest features on the ground in this image are a few inches or centimeters across.